Qualification: Business Administration, NVQ level 2 at Brighton City College. Vinny started his apprenticeship three weeks ago with Brighton & Hove City Council (BHCC) and has already adapted to the fast working environment and new college course. 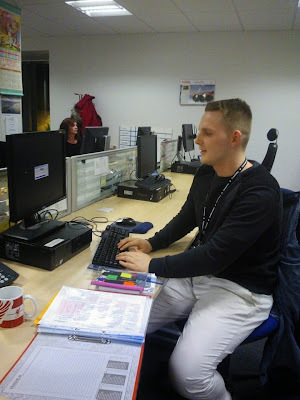 Prior to Vinny applying for his apprenticeship, he carried out a 3 month voluntary Traineeship at BHCC in aim to gain experience working in an office environment as well as developing his computer skills. He later applied for his apprenticeship and landed himself the job. “Having done my Traineeship with Brighton & Hove City Council, I know how well organised they are as well as being one of the biggest employers in the city and I thought who better to do it with.